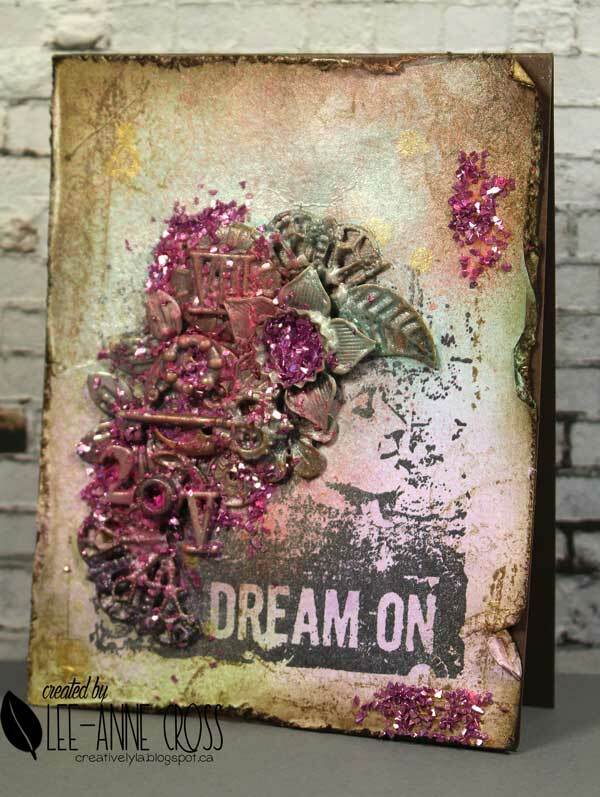 Are you playing along with the Dare to Get Dirty Challenges over at Splitcoaststampers? Lots of fun, lots of amazing inspiration and prizes!!! Details can be found here. These challenges are for Fan Club Members, and if you haven’t joined as a member here’s a list of all the benefits and where you can join in the fun. I’ve made a sample for Arizona Maine’s challenge, and it’s a great one. Hope you get to play along! After taking some classes with the amazing Finnabair last month, thought I’d play with some of her products. Paper: watercolor paper and SU!